by The Longest Way Home ~ September 30th, 2009. Updated on February 9th, 2011. Published in: Travel blog » How to live overseas » Philippines. Eating out every night is not practical. For one thing, I like to eat during the day too. Eating restaurant food three times a day on an island gets pretty monotonous after a while. Also, buying and cooking for yourself is a lot cheaper. Warning, if you have a delicate stomach, you might not like this article – it’s not pretty, it’s reality. One of the things I learned in Africa is how to cook without electricity. The cooking part is easy, gas, wood etc,. What’s not so easy is how to preserve cooked food, or even raw food, particularly meat. 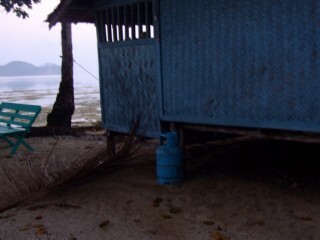 In my island cottage in the Philippines I have no refrigerator. Just a gas stove. But, I have learned a few new things. In Africa it’s common to immediately cook fresh from the slaughter-house meat in the form of a huge pot of stew. Then if no refrigerator available, reheat the next day, and the next and so on. Or in the case of chop houses, cook all day long. This reheating process essentially kills off the bacteria which can make one ill.
A refrigerator does the opposite and essentially slows down bacterial growth. I lived like this for quite a while. And yes I did get sick on occasion, but most of the time I did not. And either way, I had no choice. In the Philippines I’ve had a similar problem with refrigeration. I don’t have one. Eating out all the time is too expensive, and I am trying to see what living on an island is like. By virtue of this, I’ve discovered another way Filipinos make food last longer. 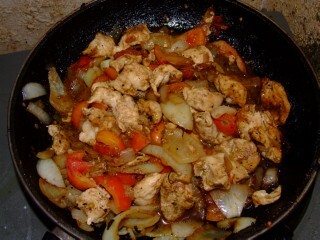 I have discovered the antibacterial virtues of Adobo. Adobo is a Filipino marinade made from garlic, soy sauce, and vinegar (plus lots of other things and variations that seem to change depending on the region). It’s quite nice. It wasn’t until I bought some beef adobo in El Nido and for one reason or another forgot to cook it for two days did I discover it was still edible! Why? While posting a previous blog entry I read up on its Spanish history. The key ingredient is Vinegar, it stunts the development of bacteria. And there I was thinking it was used to tenderise the meat, but no, it prolongs the life of meat. Old spanish sailors used this method, as do some Filipinos today, as am I. Though I do not recommend this to anyone, nor advocate it. I usually just cook beef adobo. Pork adobo is okay, but the taste changes after a while. Chicken I prefer fresh. And fish … the smell alone turns my stomach. But I happen to know the squid adobo I eat at a cantina is often two days old, or at least reheated for two days. And, I’ve never had a problem with it. In africa it took me a while to master the length of time, or how many days you can reheat for. It all boils down to the heat and humidity of the days passing. Hence my learning curve involved an occasional backfire … no pun intended. 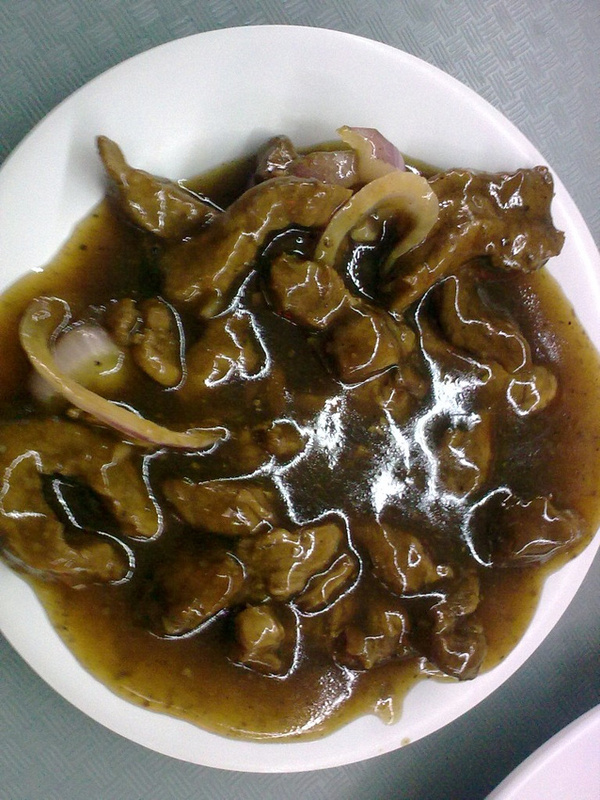 In the Philippines it’s really hard to tell how long adobo can last as it already has a distinct taste. And, I don’t want to push my luck too much. But it does help in avoiding daily market trips. Now it’s every other day. Nothing beats fresh food. But I’ve learned something new, and something potentially valuable from living on island in the Philippines. What’s more it’s good to try to cook locally. I’ve noticed a few people relatively impressed at my attempts. Old ladies give the odd nod at my attempts at buying ingredients. Sometimes they get a little too excited though, and an argument often kicks off between two ladies over the exact quantities of what that I will need. But it gets everyone laughing. And when you can make people laugh, you must be doing something right. Again, I do not recommend anyone to try this method of cooking or preserving food. Vinegar has been used in many countries to preserve food, it slows the growth of bacteria. Not only for pickling but if you used enough amount in cooking your food, you’ll be amazed on how long you can keep your food. -yee- I only discovered about vinegar in Asia. Reheating seems to be a worldwide method of killing bacteria. -Nora- Yes, everything is so sterile these days. Looking into some western restaurants is like looking at a surgery. Face masks, gloves … No wonder children are having immune problems these days. Yes, I also don’t want to know how food is prepared in many many places! -car- Hi Car, good to hear from you. Totally agree with you. A lot of food is thrown out these days. What’s worse is that one cannot give this food with expiration dates away as government regulations make this illegal in many places. Yes I have tried Paksiw. If that’s the really, really stinky fish you mean. The one you dip into vinegar. I can’t say it’s my favorite. I’d probably opt for a meal of Durian rather than Paksiw!! But yes, food left overnight and eaten the next day can often be some of the nicest! We tend to live in such a sterile society these days (and in certain countries), that we don’t know what to do if there isn’t a fridge! Even in places like Sicily, passing by markets with fresh fish and cheese that has been sitting in the sun all day – makes you wonder. But – people have done it for centuries. Good thing we don’t see how most food is prepared for us when we dine in restaurants in developing countries! Personally I think we have moved to the extreme. How many people throw away perfectly good, still relatively fresh, food just because it has passed it’s sell by date? Anyway as an aside, another positive with ref the vinegar, the acid not only will preserve the food, but it will kill off any bacteria that was lurking their prior to cooking. Hi I came across your website just about a month ago and since then I’ve been somewhat engrossed with your stories, especially since you’re currently posting about the Philippines, I’m a Filipina by the way living in Manila. I’ve been searching for posted comments/experiences about Peurto Princesa/El Nido because my friends and I plan to have a trip this coming December and I find your experiences in Palawan interesting and different from most I’ve seen. Nice that you are able to go to many places in the Philippines when most of us Filipinos hardly are able to, for so you say the transportation is not that cheap to travel here. Since you mentioned vinegar as preservative, have you tried fish paksiw? Though you say fish makes your stomach turn. It’s quite famous to most part of the Philippines, especially those in rural. Sometimes I crave for it but depending on the fish, and just about because I like sour food. We often have it in our house, maybe because its one of my parents’ all time favorites, just about any kind of fish will do for them, may it be the large ones like milk fish or tiny ones like dilis (not sure if its anchovy), hehehe. But it sure does last long, they often cook it in large volume but not be able to finish it all in a day or two, my brothers and I are not that too fond of fish too, but well as they say some foods does become more tastier/flavorful when reheated. Hi again! Thanks for the info. Maybe you were thinking of those salty dried fish like tuyo or daing, or maybe the kinilaw? (which are also famous food here), those are not paksiw. Paksiw is fresh fish that is cooked in a casserole over fire, with only a little of vinegar, ginger, garlic, onions and pepper, a variety may have some vegetables like eggplants/ bitter melon. Well with my description you might even mistake it for sinigang, hehehe. Basically with paksiw, the fish is cooked tender, not dry and is already sour so there is no need to dip again on the vinegar. Anyway, mentioned above this site is on the list of the Top 100 Travel Blogs, congrats! Hi Mcelle, Daing I think. I try to forget it, but the smell still lingers! I pass by a lot of dried fish stalls a little quicker than most. It’s not my favourite at all. But Squid from the Philippines … Yes, that’s great! Hi, just came across your blog in the past couple of weeks. I found this entry interesting because we have recently had some problems getting ice in the outback, and were trying to think of ways we could change our ways of eating with out going to cans. Don’t think I will try the Adobo, but enjoyed reading about it. Hi Maya, Glad you found this entry interesting! Pickling, drying, salting and all other ways are great for preserving. But sometimes practicalities and health dictates refrigeration is a better option alright. I used to freeze ice blocks just to keep a refrigerator cool during long periods of no electricity in some parts. Likewise those reflective freezer bags do seem to work a little at keeping things cool for a while. Hope you get your ice situation sorted out. And thanks for stopping by! there is a liquid called cassareep that is used in the caribbean for preserving food. it is made from fermented cassava juice. perhaps somewhere on your travels, someone is using it as a alternative to vinegar. -suelin- I’ve not heard of this before, and it really seems interesting. I’ve come across fermented Cassava, but not the juice. I know in some places cassava can be poisonous unless you know how to use it. im just mainly curious about 1 little thing are you the guy from the video that says clean cut no beard and lean mean fighting machine and then it shows you all over the place in different places and such then shows you at the end? anyways im just wondering about that also i was wondering how much money did you start off with on your journey i wanna travel one day and after read about 75% of this blog tonight i decided i think right when i get my pardon im gonna start my journey without a car etc just get what i can when i can get it even if it means catching a wilder beast lol :) !!!! and btw your an inspiration !!!!!! -Popcom- i reply to comments and email whenever i can. I travel on a budget and am not online 24-7. I’ll answer your email and questions as here.